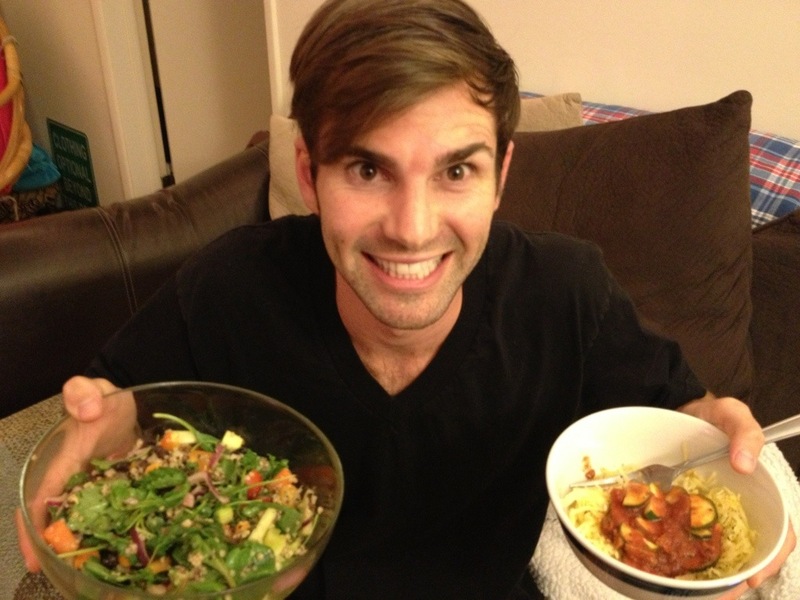 ← Yummy lunch/dinner salad idea in less than 20 minutes! 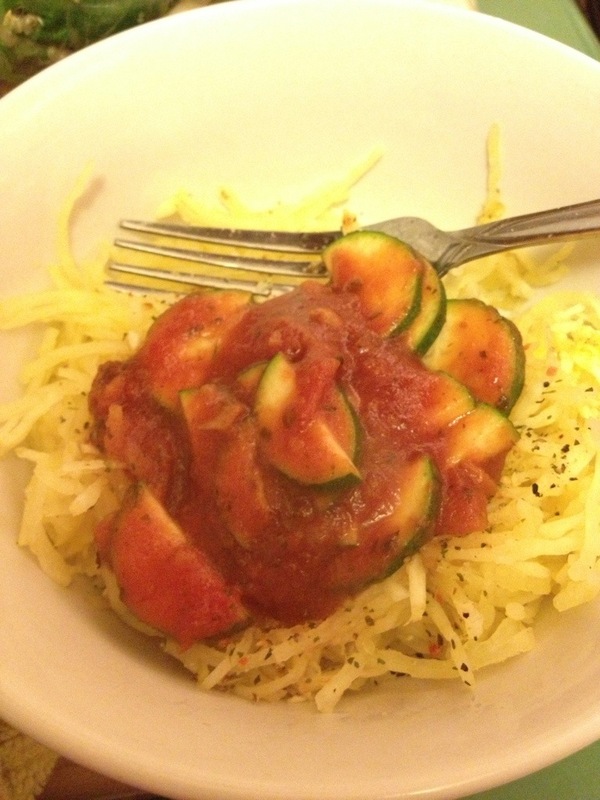 Spaghetti squash in 40 minutes! Vegan and gluten free!! So to add to my earlier post (which was the appetizer 😉 I also made Kyle and I spaghetti squash with trader joes organic mushroom marinara sauce! 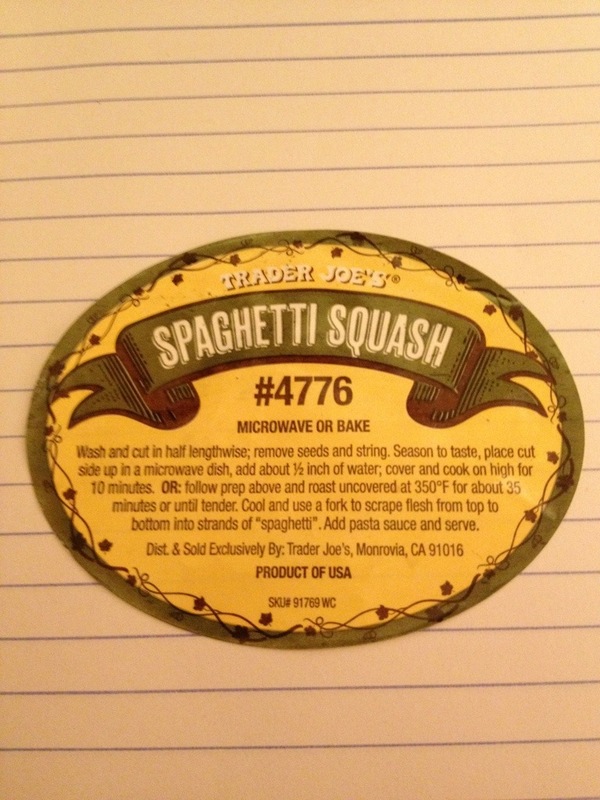 *ADDED BONUS- Bake the seeds from the squash. Directions: Rinse and pat dry seeds with cloth towel/paper towel. Lay on baking sheet. Add desires seasoning (I used sea salt, pepper, paprika, and garlic which is also a great seasoning to use when making sweet potato fries!) 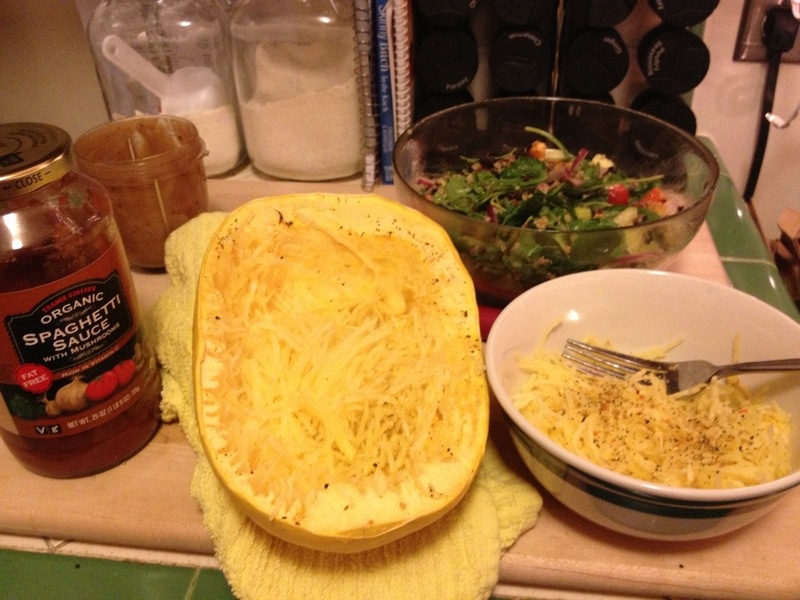 Bake for 30-35 minutes at the same time as squash is baking!